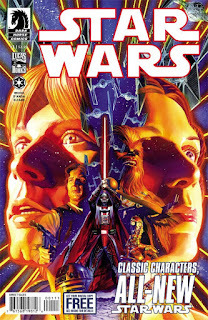 Star Wars #1, published by Dark Horse Comics, written by Brian Wood, art by Carlos D'Anda, coloring by Gabe Eltaeb and the cover art by Alex Ross. Taking place a short time after the battle of Yavin and the destruction of the first Death Star, the series focuses on the main group of characters between A New Hope and The Empire Strikes Back. So yeah, Luke doesn't know that Leia is his sister yet. But we're not here to talk about that. The writing is great, the story Brian Wood tells has the rebellion on the hunt for a new planet to set up shop and he does a great job with the characterization. Carlos' art is amazing throughout the issue. Seeing how Carlos depicted Vader is beyond words, he manages to show expression and emotion through Vader's mask, it is simply outstanding.Gabe's coloring compliments Carlos' art incredibly well, it's solid from the first page to the last. This book is packing a lot of eye candy. This issue starts out a logical point in time with Luke, Wedge and Leia scouting a planet where the rebellion can set up a base. Almost as soon as they get to the planet a star destroyer comes out of hyperspace with tie fighters deploying almost instantly. The rebellion has a mole and it's up the Leia to figure it out and find a new home for the Alliance. A great start to what is no doubt going to be a great series. 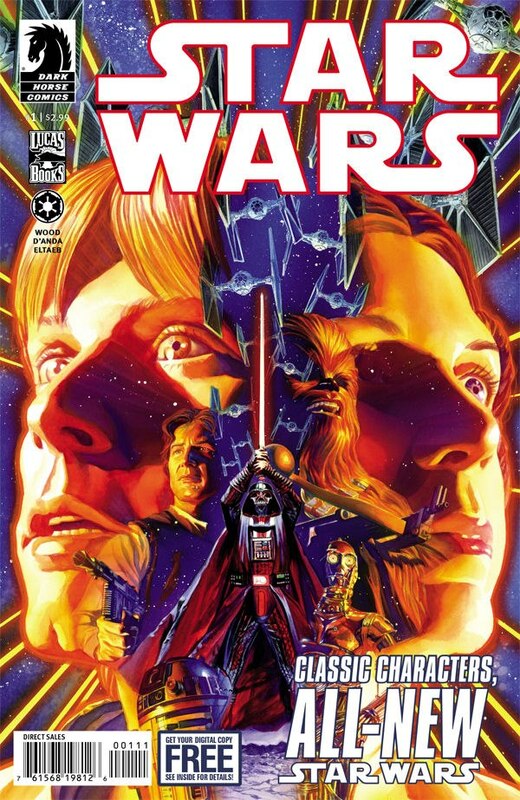 With Disney buying Star Wars it is only a matter of time before Marvel gets the go ahead to crank out Star Wars comics and will no longer have the great stories that Dark Horse has been giving us. Marvel is capable but I'm not convinced they can do it at Dark Horse's level. I'm going to enjoy this for as long as the mouse will let me.